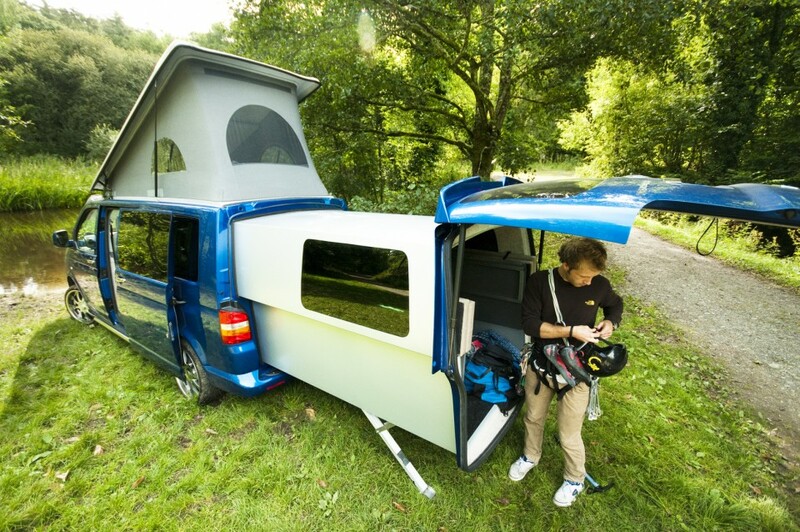 The recent comeback of modernized (and modified) mobile homes has seen many novel transformations of cars and trucks into various sizes of living space, but the Doubleback may have more secret additional area than any other vehicle of its size and class. 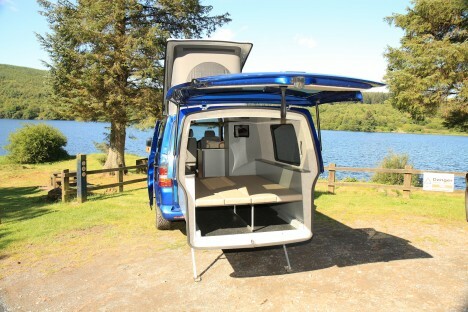 These modified T5 transports have a pop-up top, but also a slide-out back adding up to six feet of extra length – each of these extensions can sleep two people. Self-leveling feet drop down from the rear extension, making sure the cantilevered zone remains level at all times, including on variegated terrain. Further exterior space can be covered as well via a roll-out canopy top or custom flip-up door, turning parking lots and campgrounds into cookout spaces and backyards. 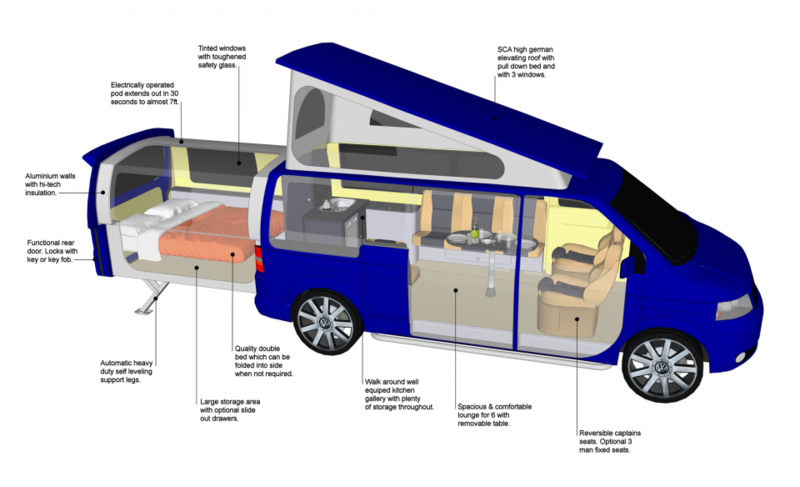 Various configurations are possible, sleeping up to four people (drop-down beds in the back and additional sleeping space above) and seating depending on the design details. 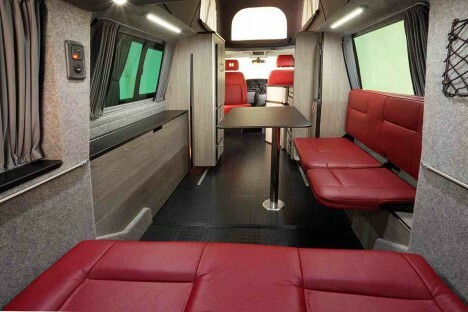 Newer models also include space for a camping toilet and cooking amenities.